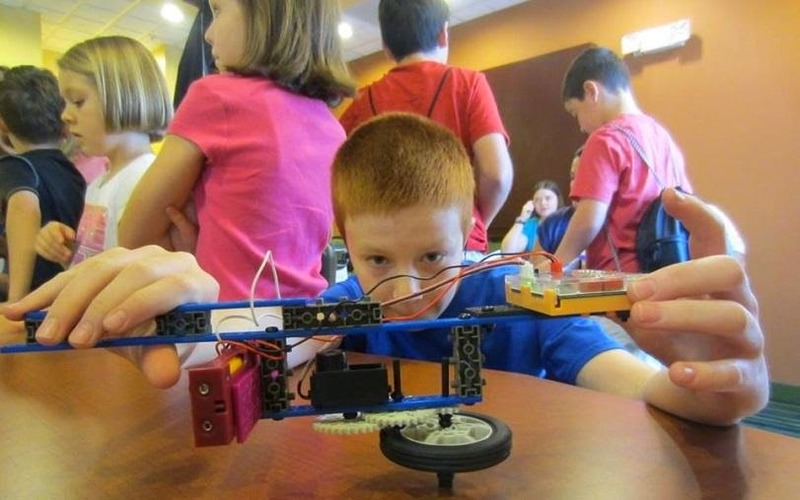 Beautiful Incentives: ROBOTS-4-U Summer Camps. Now Enrolling in FL and other states. ROBOTS-4-U Summer Camps. Now Enrolling in FL and other states. I don't know about you, but this would have been a dream for me as a kid. Learning with robots at camp? As if camp wasn't amazing enough, they add robots to the picture! So jealous of what kids have today. It's a whole nother dynamic world full of endless and fun possibilities. Technology has taken over everything and I have no qualms, until the robots try to take over the world. For now, feast your eyes on this wonderful experience for your kids. You can bring them a very enriched and powerful education whilst having lots of fun in the process. Or Engineer....Or... you get the picture!